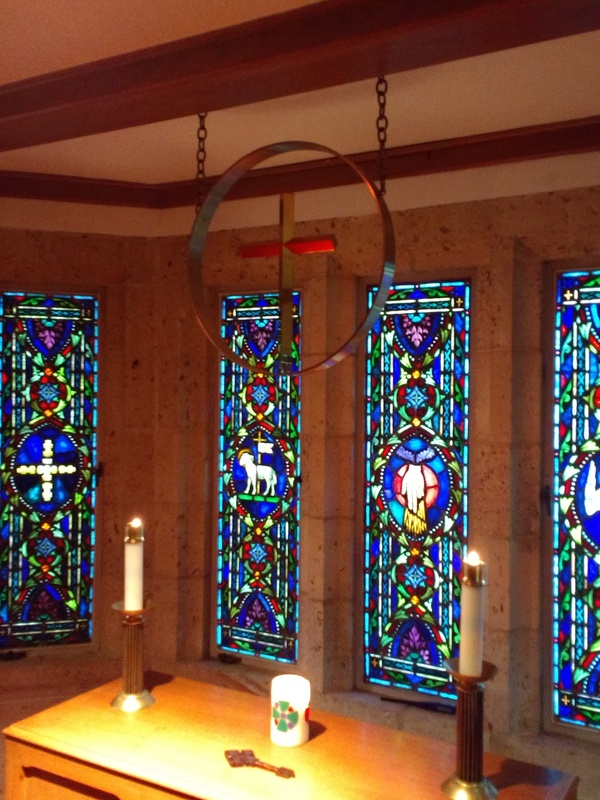 On Thursday mornings at 7:00 a.m., we gather together for morning prayers in the Chapel of the Holy Trinity. This 15-minute service, led by Reverend Ritsch and by church leaders,can be a great way to start the day. Guided with music by Jordan Smith, we are led in prayers of praise, supplication, confession, assurance of pardon, and intercession. It offers a quiet time to abide with others in the presence of God, to express personal gratitude for God’s blessings, to pray for those in need and for a world in need, and to reflect on ways you can show the love of God in the coming day. It is a joy to watch the morning light grow brighter through the beautiful stain glass windows. It is something to look forward to in the middle of each week, and a time to celebrate the friendship we share in a small group with conversation over breakfast, which is provided in the kitchen immediately following the service. This is a casual service; come dressed in sweats, jeans, or work clothes. Leave for work or other activities or stay and help out at the church. Begin the morning reinforced in knowing the day will offer hope, love and joy. Come join us!